Hi everyone and welcome to another edition of The Scoop! 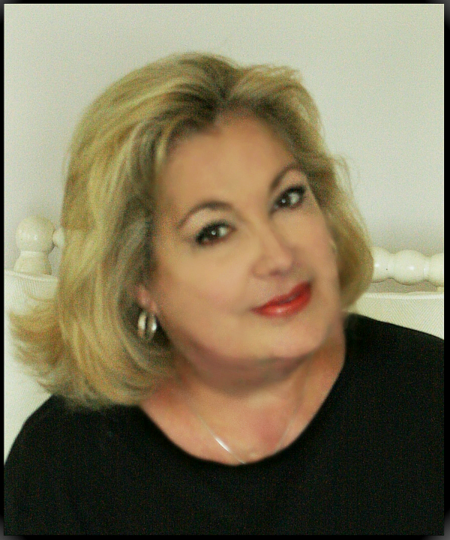 We thank you for joining us each week to share your wonderful ideas and to inspire us! It wouldn't be a party without our guests! On the blog...I shared a way to add a little vintage-y Valentine touch to your décor with my Vintage French Sheet Music Candles. And with a little tweaking, they could be used any time of year! 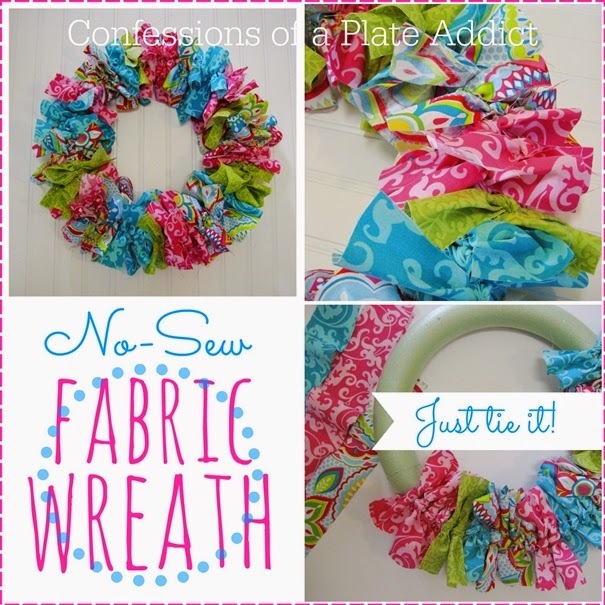 And our Georgia groundhog's prediction of an early spring has me thinking ahead and using bright spring colors in my easy No-Sew Fabric Wreath...another project that, with different fabrics, can be tweaked to go with any season! And now I can't wait to see what you have to share, so let's get this party started! Hi everyone! Thanks so much for joining us each week to share your creativity and inspire us! Today I'm sharing 2 posts that I hope will be very helpful to you!!! The first is all about pillows... and who doesn't love love love pillows! Here are a few no-fail tips on HOW TO BUILD A PILLOW COLLECTION... LIKE A PRO! And here's a recipe that my grandmother made and I updated. It's like a beloved member of my family! So simple, so good and perfectly scrumptious. 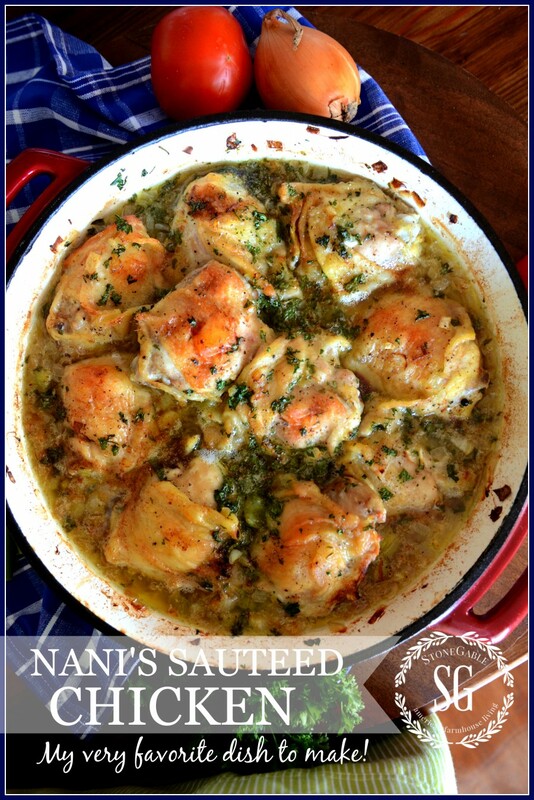 NANI'S SAUTEED CHICKEN is sure to be a family favorite! 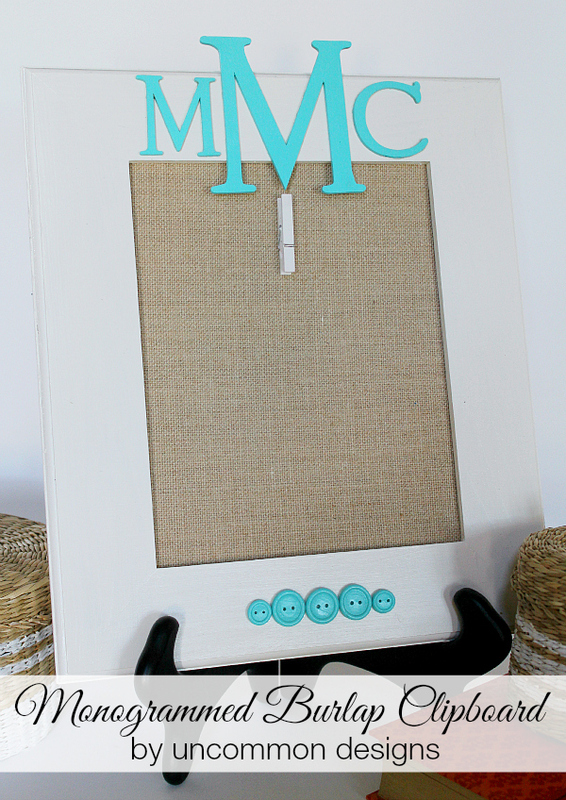 Trish and Bonnie from UNCOMMON DESIGNS shared this adorable MONOGRAMMED BURLAP CLIPBOARD. This is on my must-make list! 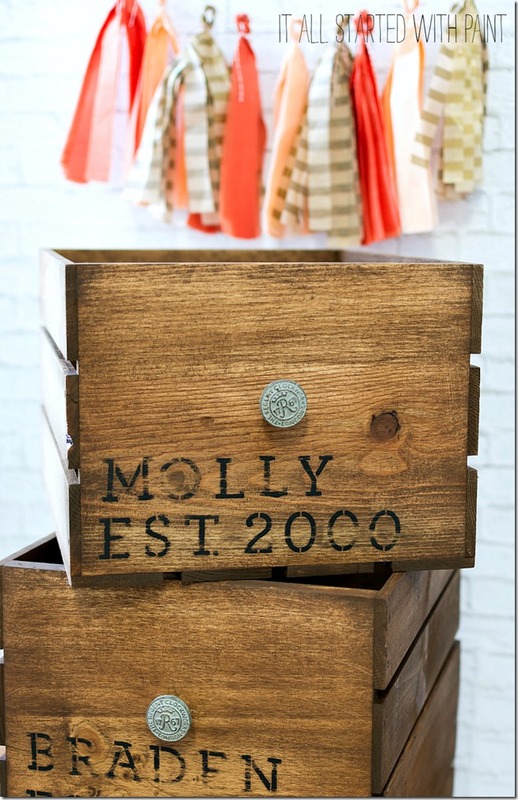 This little VINTAGE CRATE DIY almost made my heart stop! It's gorgeous!!! And so easy to make with the great great instructions Linda included! Check it out at IT ALL STARTED WITH PAINT! Okay, let's all sigh together! SIGH... for RASPBERRY CREAM CHEESE PILLOWS! 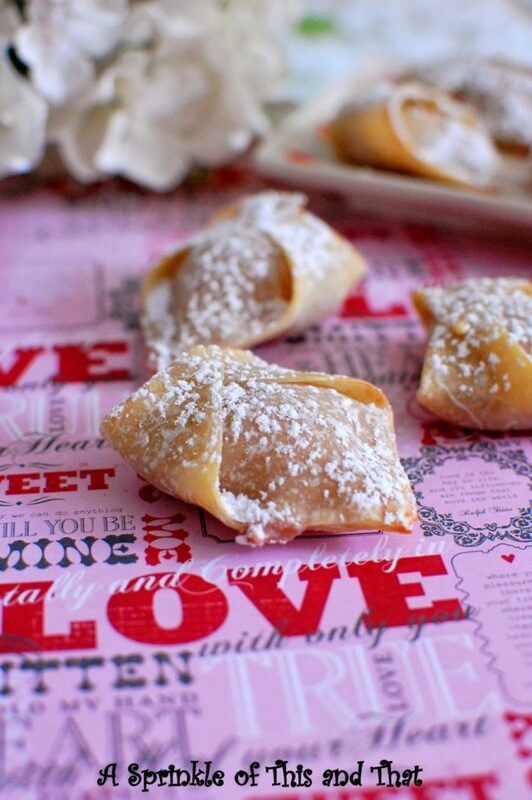 These yummy, heavenly creations come from Christine at A SPRINKLE OF THIS AND THAT! You should check out Terry's post from FOREVER DECORATING! It's all about NO COST DECORATING... very smart!!! I love a project that has the words "no-sew" in them! 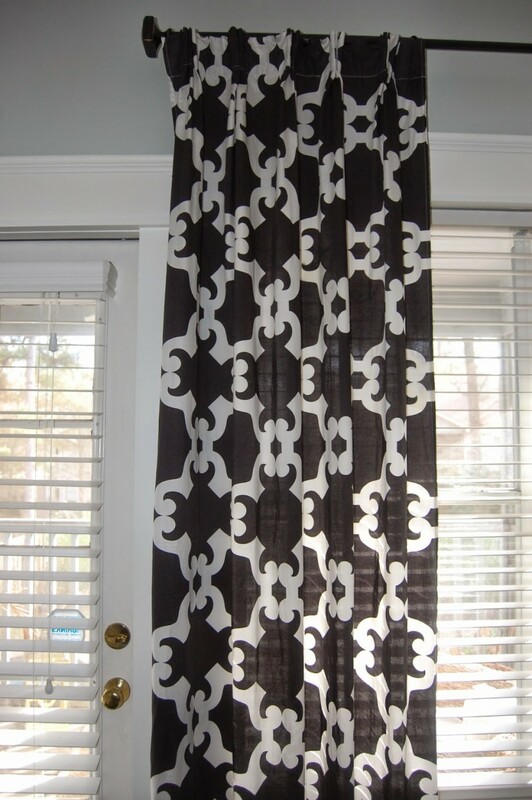 So thanks Jennifer from CLASSIC STYLE HOME for your NO SEW FRENCH PLEATED DRAPE DIY! Great curtains!!! Love all the features The Vintage Crate DIY really caught my eye! Thanks for hosting. Thank you so much for the SCOOP. Thanks for hosting Debbie! Happy V-Day!